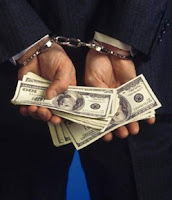 According to the DoJ a federal grand jury sitting in Houston, Texas returned an indictment on September 20, 2018 charging a Houston attorney with one count of conspiracy to defraud the United States and three counts of tax evasion. According to the indictment, Jack Stephen Pursley, also known as Steve Pursley, conspired with another individual to repatriate more than $18 million in untaxed earnings from the co-conspirator’s business bank account located in the Isle of Man. Knowing that his co-conspirator had never paid taxes on these funds, Pursley allegedly designed and implemented a scheme whereby the untaxed funds were made to appear to be stock purchases in United States corporations owned and controlled by Pursley and his co-conspirator. If convicted, Pursley faces a statutory maximum sentence of five years in prison for the conspiracy count, and five years in prison for each count of tax evasion. He also faces a period of supervised release, monetary penalties, and restitution. 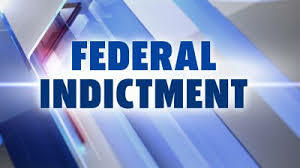 An indictment merely alleges that a crime has been committed. A defendant is presumed innocent until proven guilty beyond a reasonable doubt. The indictment alleges that Pursley received more than $4.8 million and an ownership interest in the co-conspirator’s ongoing business for his role in the fraudulent scheme. The indictment further alleges that for tax years 2009 and 2010 Pursley evaded the assessment of and failed to pay the incomes taxes due on this money by, amongst other means, withdrawing the funds as purported non-taxable loans or returns of capital. Pursley allegedly used the money he received to purchase personal assets, including a vacation home in Vail, Colorado and property in Houston.